Dr. Vivienne Smith joined Capital Cardiology Associates in 2007 as full time non-invasive cardiologist following a successful career in academic medicine. 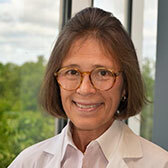 After receiving her medical degree in 1975 from The University of Vermont Medical College in Burlington, she completed a residency in Internal Medicine at University Hospitals in Boston and New Haven, Connecticut in 1978. Subsequently, Dr. Smith went on to Weill Cornell Medical College to perform a Fellowship in Cardiology, with a subspecialty in Hypertension. Dr. Smith’s academic appointments have included: The University of Connecticut, The University of Pittsburgh School of Medicine and Graduate School of Public Health, and Albany Medical College. Her published research has included dissertations on preclinical cardiac drug development, the use of cardiac imaging to evaluate the hypertensive heart and the epidemiology of aging hearts. Dr. Smith is a Fellow of the American College of Cardiology and is one of the first 500 cardiologists to be designated world wide as a specialist in Hypertension. At Capital Cardiology Associates, PC, she continues her practice in general cardiology with a special focus on adults with complex or resistant high blood pressure and disorders of the heart muscle.